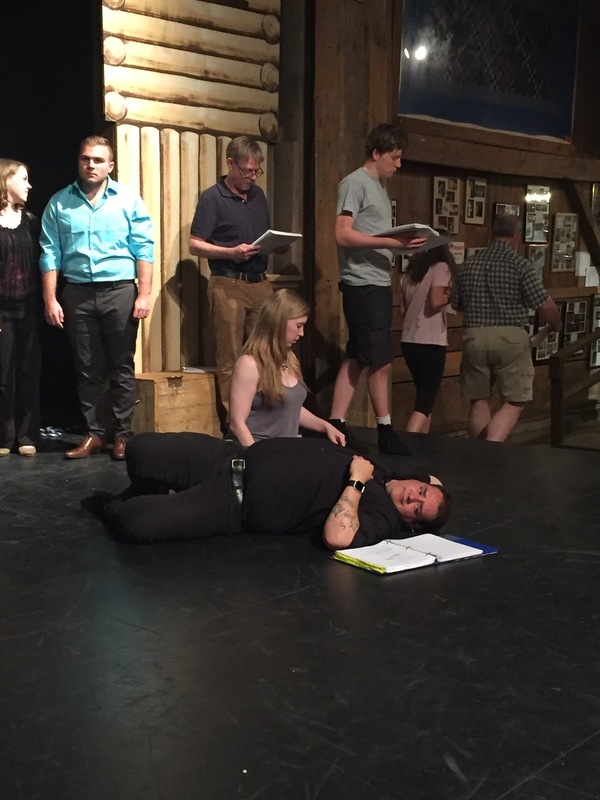 Putnam County Playhouse: Open House and Opening Week of Curtains The Musical! Open House and Opening Week of Curtains The Musical! Putnam County Playhouse opens the 2017 season with the musical comedy, “Curtains.” The show will run June 1, 2, 3 and June 7, 8, 9, and 10. Tickets are available beginning May 28 from 2 – 3 p.m. at the Playhouse Box Office during their Open House. The Cast of Curtains will present musical numbers from the show during the Annual Open House and refreshments will be served. Tickets for all four shows of the 2017 season will be available beginning Sunday, May 28. The Box Office is open the weeks of performances or you may call 765-653-5880 from 5 p.m. – 7 p.m.
Curtains is a musical mystery comedy set in 1959 at the Colonial Theatre in Boston, where a new musical called "Robbin' Hood! ", a western version of Robin Hood, is being produced. Playhouse favorite and veteran actress, Karen Temple plays faded film star diva Jessica Cranshaw who takes on the role of Madame Marian in “Robbin’ Hood.” When Jessica is murdered during the show’s finale, all of the cast & crew of “Robbin’ Hood” are suspects in her murder. Lt. Frank Cioffi, Boston Police Detective and musical theatre devotee, played by Chris Wurster, arrives on the scene to solve the murder and finds himself enthralled with Jessica’s understudy, Niki Harris, played by Caroline Good. Art imitates life as Josh Bain portrays Bobby Pepper, the show’s choreographer. Robbin’ Hood’s producer, Carmen Bernstein, is played by Ashlee Vitz. And Addison Hughes makes his Playhouse debut as Oscar Shapiro, the show’s financial backer. Lee Reberger and Shelly McFadden return to the playhouse stage as divorced songwriting team Aaron Fox & Georgia Hendricks. The show's flamboyant British director, Christopher Belling is portrayed by Andrew Ranck. Sarah Bond plays Bambi, the show's featured dancer. The cast also features Scott Armitage as Carmen’s husband, Sydney Bernstein; Tim Good as theater critic, Daryl Grady; Eleanor Howard as stage manager, Johnnie Harmon and Karen Sutherlin as Detective O’Farrell. Dan Purnell, Samantha Flannelly, and Jacob Riggen. 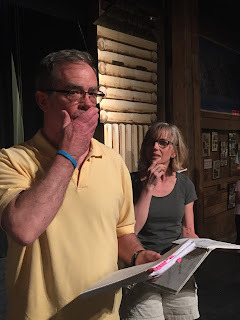 Veteran Playhouse performer & director Ric McFadden is the director of Curtains. Sandi Rossok is assistant director for the show. The production staff includes vocal direction by Erik Foster, choreography by Sarah Bond, Joshua Bain and Lori Briones. Set design & construction by Linda Gjesvold with technical direction by Dustin Bond. Playhouse favorite Jack Randall Earles served as casting director with costume design by Shelly McFadden. Susan Price joins the Playhouse family as Wardrobe Assistant. Wig design is by Diana Van Middlesworth. Marilyn Rush, pianist & pit conductor leads musicians Morgan Asher (keyboard), Drew Brattain (bass), Marcia Boswell (flute). The production crew includes stage manager, TJ Tincher; stagehands Connor George and Mariah Taylor; sound design and operator, Dustin Bond; light board operator, Nicole Moore and spotlight operators Cameron Wunderlich and Mason Allen. 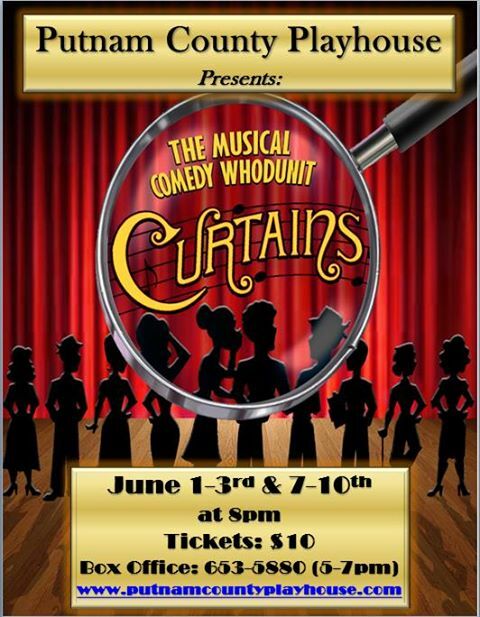 Curtains promises to be a fun, entertaining show that you won’t want to miss! Call the Playhouse box office beginning Monday, May 29 to reserve your tickets. Box office hours are 5 p.m. – 7 p.m. Monday – Saturday during show weeks. The box office phone number is 765-653-5880. 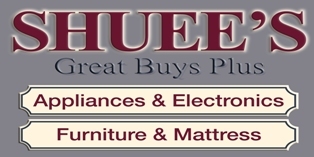 Curtains is sponsored by Shuee’s.